Justin Danzy ’16 always believed in himself and his writing; he just wasn’t sure others would feel the same way. 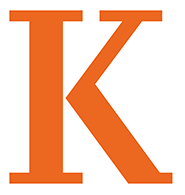 When he began to work on his Senior Individualized Project (SIP) at Kalamazoo College, he had one thing in mind: authenticity. His senior project seeks to understand authenticity in various forms of expression, and he decided to focus on works by James Baldwin and Rapper J. Cole. As Justin explored the work of the two artists and concentrated on the meaning of authenticity, he often found himself questioning how authentic would people perceive his work. He wondered as well whether others had an interest into understanding authenticity and its nuances. Turns out he needn’t have worried. His SIP supervisor, Associate Professor of English and Writer in Residence Diane Seuss encouraged him to enter his SIP into an open research paper contest. 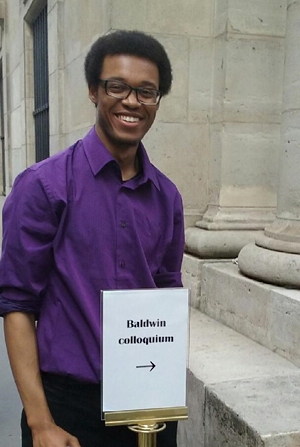 And he won, which meant presenting his work during the three-day International James Baldwin Conference at the American University of Paris (France). He was the only undergraduate presenter. The trip to Paris was his first time out of the country. Having the opportunity to attend the conference, he said, awakened a new confidence in himself and his scholarly work—the sense that his own ideas can be useful and significant. “If I put in the time and effort and have a team to push me in the right direction, my ideas can add to the world,” said Justin. This entry was posted in News Stories, People in the News and tagged awards, English, students, study abroad, . Bookmark the permalink.